Every few months, I'll get around to switching out my mouse pad. I started off with a cheesy cloth freebie from Staples, then upgraded to a 3M mousing surface. After that came the hard surfaces like the Everglide and the Ratpadz. The hard surfaces designs sure have come a long way. 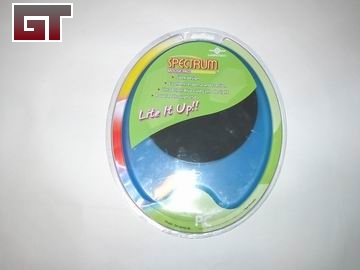 Most recently, we reviewed the glowing model from Flexiglow, a nice large surface with the added sparkle of a few LEDs. 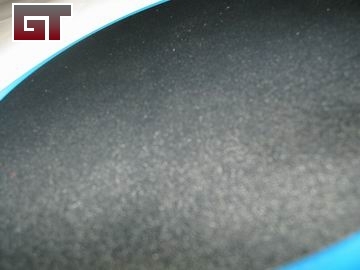 Today, we're going to take a look at the CCFL equipped Spectrum Mouse pad from Vantec. Right off the bat, I'm spoiled by large surfaces. The Spectrum is by far the smallest one out of all that were mentioned. Does it mean it fails immediately? No, just means I need to up the speed of my mouse in Windows. 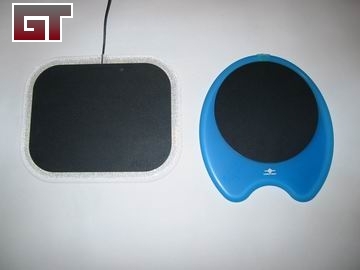 The package contains the pad itself along with a neat USB cable. 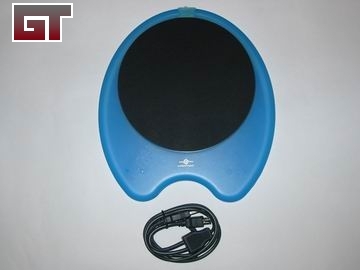 The mouse pad is powered by the USB port, which will usually eat up one free port. The cable that comes with this package has a pass through USB that actually frees up a port for you. 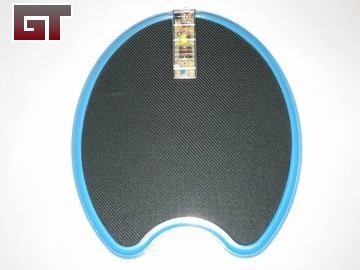 The underside of the pad has a huge rubber surface to prevent it from sliding around. 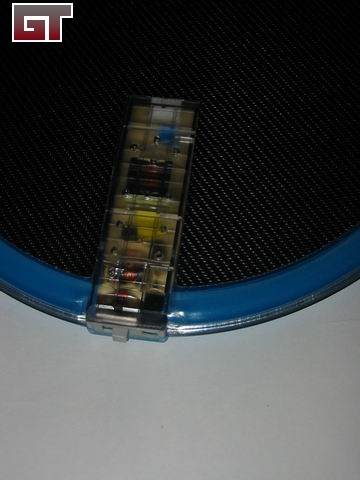 The top features a on/off switch along with the power plug jack. The switch located at the top eliminates it from interfering with your movement. The surface is not as rough as the Ratpadz, Everglide or the Flexiglow. 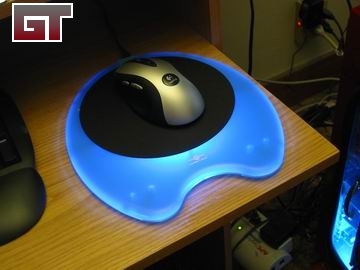 It's perfect for an optical mice, but might be a tad too smooth for ball mice. Installation is pretty easy, there's not really much to it. 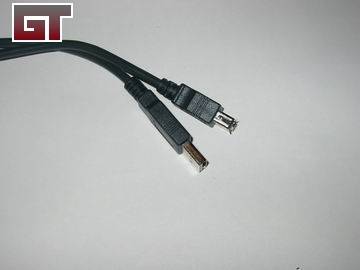 Plug the USB cable into your computer, plug the other side into the top of the pad. Turn the switch on and you have immediate light. I would have preferred if the light was brighter to illuminate itself in a lit room. In the dark however, it looks rather nice. The pad does fit much better on my desk. I can now finally fit my Logitech MX Duo combo without knocking into each other. I tried out some serious gaming first by heading over to CamperStrike. Alright, it's not really serious but I spend enough time messing around with online flash type of games I thought it'd be a good idea. I ended up scoring a miserable 22% accuracy. But that was on the first try, I played about 30 times more and ended up with about 65%, which is pretty good for me as I'm horrible at it. Next test involved running around a bit shooting everything in Far Cry. I happened to fall off the mouse pad a bit here and there in the mist of shooting and running. I guess I need to get used to this smaller size. Overall, the Spectrum MP is quite smooth and shouldn't cause any issues in that department. Only issue I can see is the width issue as it may be a bit too narrow for some people.